Whilst you are learning to drive, you are not permitted by law to drive on a motorway, even if you have a fully qualified instructor with you. 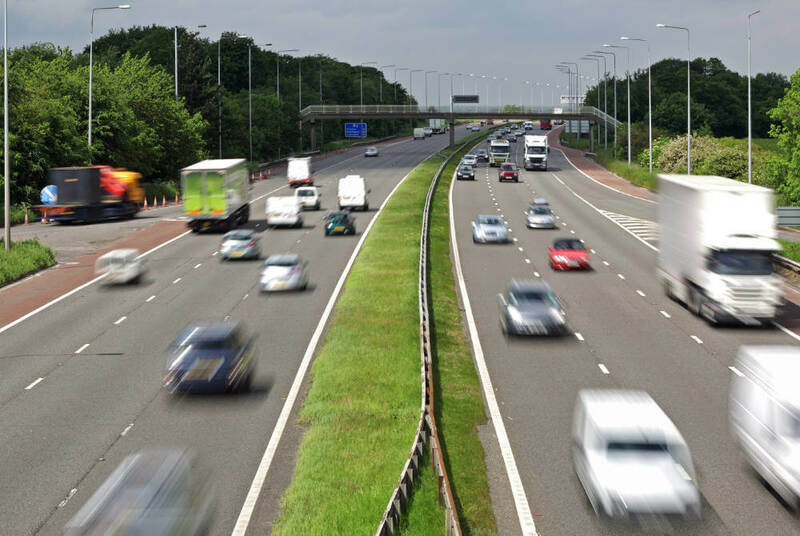 You can only use motorways after you have passed your driving test and are in possession of a full driving licence. Now once you have qualified, you will be allowed to drive on a motorway. If this makes you a little nervous, you are not alone. Many newly qualified drivers worry about their first time alone on a motorway. This is understandable as the speed of vehicles on motorways is dramatically greater than what they are used to. Additionally, motorway driving comes with its own set of rules and conventions. Nevertheless, you should bear in mind that motorways are statistically our safest roads and only 3% of all road traffic accidents happen on motorways. A reason for this is that every vehicle is travelling in the same direction and at comparable speeds . Also, motorways are straight with wide lanes, and there are no sharp corners or tricky roundabouts. At Lanes we are able to offer newly qualified drivers a Motorway Driving course in which you will learn the skills of safe motorway driving. When you first join the motorway, you should stay in the first lane until you match the speed of the other vehicles. The other lanes are for overtaking. If you use them to pass another vehicle, make sure that you return to the first lane as soon as you can. On a motorway you are not allowed to reverse, cross the central reservation, or to drive in the opposite direction. If you need to stop in an emergency, you must use the hard shoulder. The most important safety consideration is to ensure that you keep a safe distance from the vehicle immediately ahead of you. You must allow at least two seconds between you and the vehicle in front. This will enable you to brake and avoid collision in case of an emergency. If the roads are wet, you should allow 4 seconds. In foggy conditions you should reduce your speed to compensate for the reduced visibility. If visibility is less than 100 meters you should use dipped headlights and front or rear fog lights. If there is a large lorry in front, this can obscure your vision. It would be prudent to reduce your speed a little so that you can clearly see the road conditions ahead. On busy motorways, there will be an electronic signalling system for each lane of traffic. It is essential that you know how to read the signals. They are there to warn you of hold ups or accidents ahead. Lanes School of Driving is one of the largest independant driving schools in the country. We have been teaching the public to drive since 1914 and we offer both male and female instructors. Our after pass one-to-one Motorway Driving course covers every aspect of motorway driving.